Artima just pushed out the latest updates to my annotated training materials on C++11/14 and on making effective use of C++ in an embedded environment. These materials were originally published in 2010, and in the ensuing five years, I've updated the C++11/14 materials nine times and the C++-in-embedded materials twice--a total of ten and three releases, respectively. From the beginning, the rule has been that buyers are entitled to free updates to the materials as long as I produce them, so if you own a copy of either (or both) set/sets of materials, you should have received email notification from Artima that shiny, new PDF is waiting for you in your Artima account. 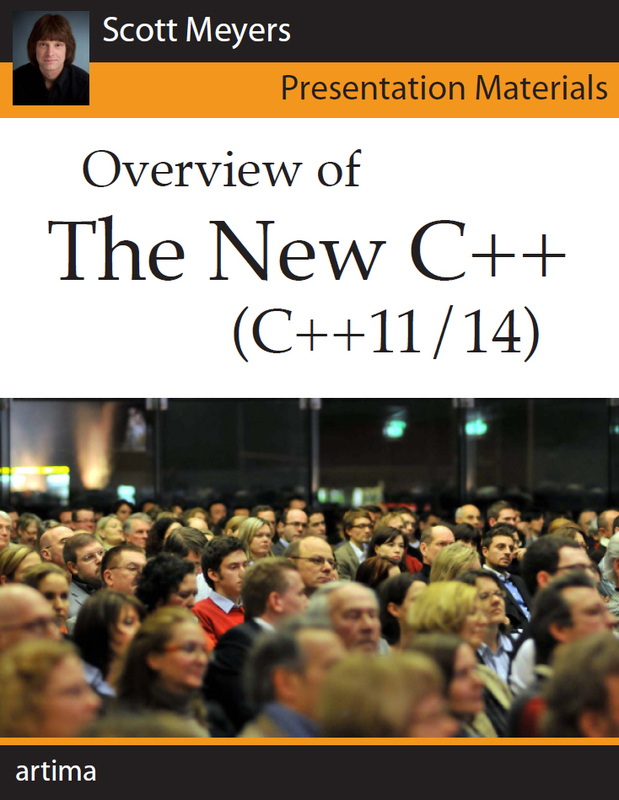 The first 40 pages of Overview of the New C++ (C++11/14). 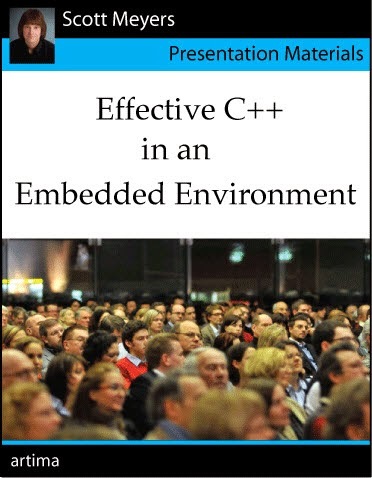 The first 30 pages of Effective C++ in an Embedded Environment. Scott, as someone who owns both sets of material (as well as "Effective Modern C++" and your other books), I'm really happy to hear they've been updated. I work in deeply embedded systems, and I'm the guy championing C++ vs. C for embedded work in the firms I work for. Your material always comes in handy. @DS: I'm glad you find the materials useful. Scott, do you plan to update "Overview of the New C++" with C++17? @Sandeep Datta: No, per this blog post, I got off the C++ train at the end of 2015, so I don't plan to make any additional updates.